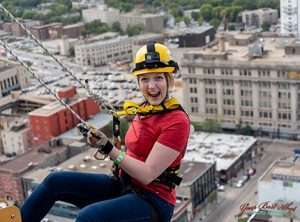 Registration for the 2019 Drop Zone event in Winnipeg is now open! 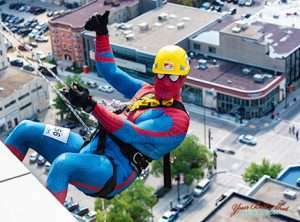 August 2019 will see participants become real life SUPERHEROES by conquering their fears and raising a minimum of $1,500. 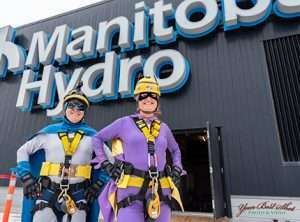 In completing this challenge, our SUPERHEROES will rappel down the Manitoba Hydro Building at 360 Portage Ave and help change the lives of Manitoba children, youth and adults with disabilities. Registration is open to individuals and teams of 2 or 4. Should you reach your fundraising goal by June 30th, your name will be entered into an Early Bird Prize Draw. $1000 Breakaway Experiences Gift Certificate (valid until August 31, 2020) . 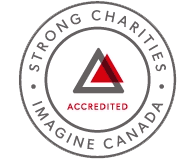 A number of local sponsorship levels are available. For ore information, please contact dropzone@smd.mb.ca. For further information regarding the event, please contact us at dropzone@smd.mb.ca.